Careers in Waste Management deal with handling both hazardous and non-hazardous waste, as well as the development of legislation guidelines, regulations and standards. 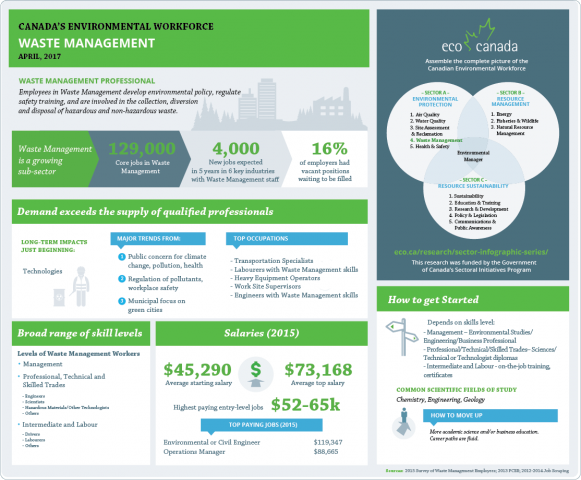 Growing emphasis on waste reduction, environmental protection and sustainability in the private and public realms is driving a need for expertise. 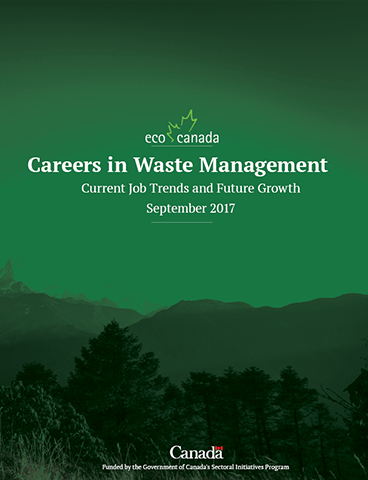 16% of employers surveyed report having unfilled positions in waste management. The secondary industries (i.e. recyclable materials wholesalers, engineering construction, engineering services) are the most in need of workers, with a quarter of these employers reporting unfilled positions.